This section probably covers the widest range of different styles customers have asked us to make. 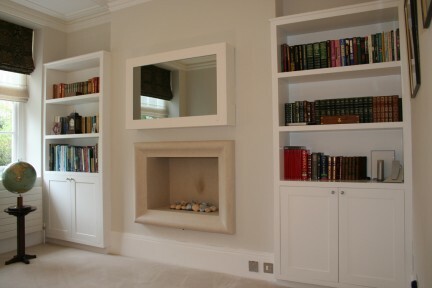 Alcove units are always popular as they lend themselves to require a custom-made unit to fit the dimensions of the alcoves. 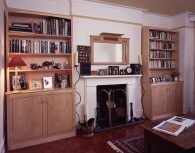 Included here are examples of modern pigmented units, simple wooden Shaker units, cabinets made from Yew for a country cottage, through to dramatic ornate neo-classical units. 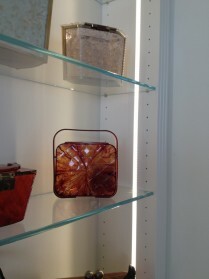 Many of these cabinets use glass extensively, as well as up-to-date, reliable and efficient lighting systems. 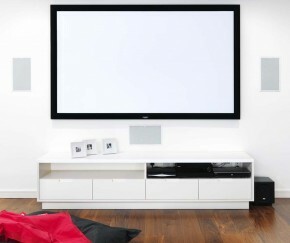 We can accommodate, and if necessary, hide, practically any AV equipment the client specifies. 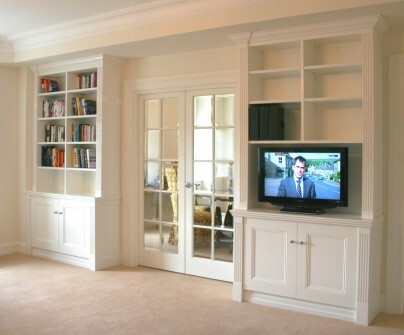 Media Unit with sliding doors and internal drawers. 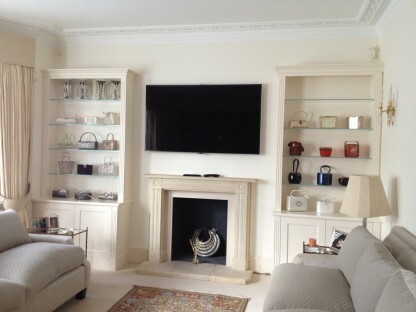 White lacquered finish with fabric panels. 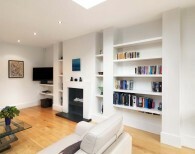 Home Study area – white spray-painted lacquer finish and white Corian top surface. 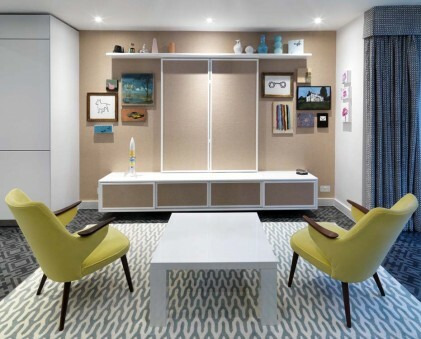 Storage units with drawers, cupboards and open shelving – white spray-painted lacquer finish and white Corian top surface. 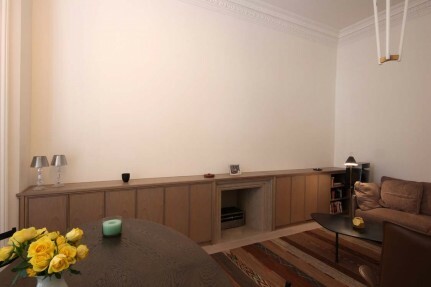 Media unit – white spray-painted lacquer finish and white Corian top surface. 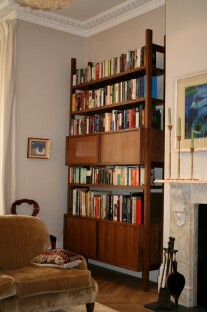 Stained Oak cabinets for media and storage. 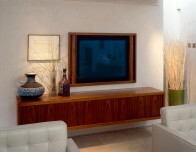 Wall hung media cabinet and television cabinet with tambour door made from Walnut. 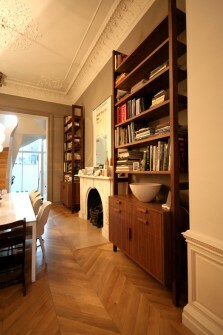 Tall Walnut cabinets either side of fireplace. 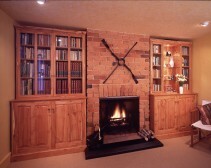 Cottage alcove cabinets made from English Yew. Dining Room serving cabinets made with a durable spray-painted finish. 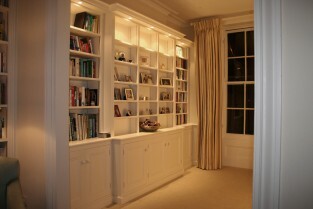 Hand-painted cabinets with integral lighting. 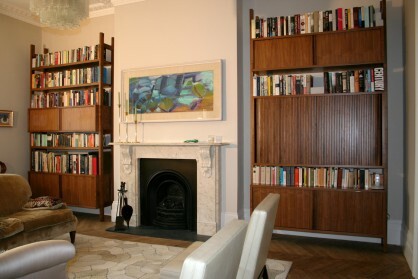 Freestanding cabinets made from American Black Walnut with television hidden behind tambour doors. 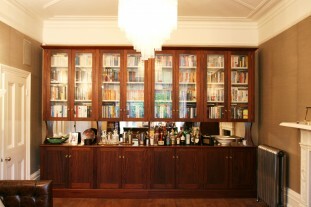 Freestanding cabinets made from American Black Walnut. 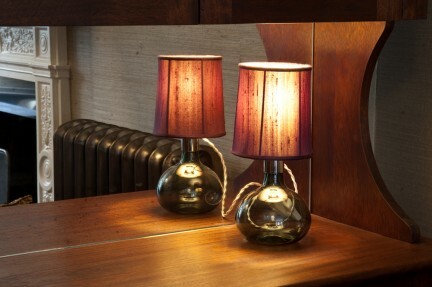 Detail of Living Room cabinet made from reclaimed laboratory worktops (Iroko) and antique mirror. High-gloss white lacquered cabinets with custom brass handles and gold painted bamboo framed mirrors. 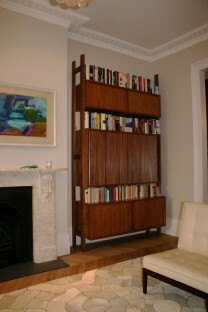 Alcove cabinets made from Birds-eye Maple with Rosewood inlay. 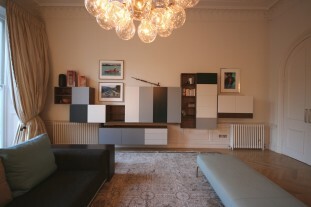 Various Walnut cabinets with different coloured lacquered doors. 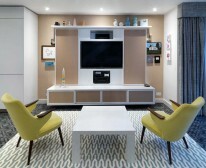 TV hidden behind 2 pairs of bi-folding doors. 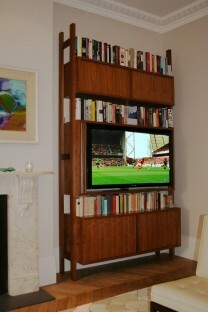 Living Room cabinet made from reclaimed laboratory worktops (Iroko) and antique mirror. 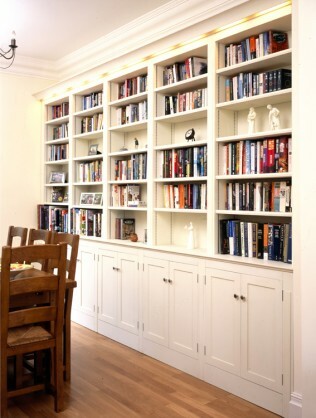 Hand-painted bookcase with integral cornice lighting. 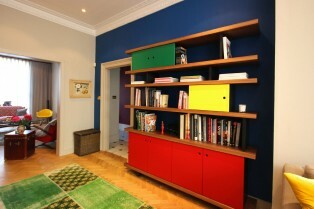 Cabinet made from Walnut with 3 colours of lacquered doors. 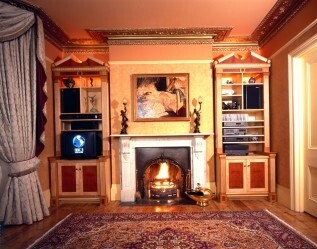 Neo-Classical Alcove cabinets made from Ripple Sycamore, Madrona veneers and sold English Cherry.